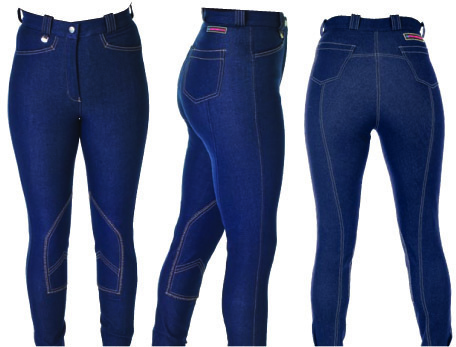 These flattering breeches gives the denim look for style but are stretchy which makes them extremely comfortable to ride in. Be fashionable and get the 'jeggings' look. They are perfect for the yard, shops and riding. With velcro closures at the ankles, jean like pockets, full zip fly, belt loops and contrast stitching. There are currently no questions for HyPERFORMANCE Denim Look Ladies Breeches - be the first to ask one!